The Christmas Tree is down, the mornings a bit brighter and through the office windows, I even see calves. Spring is upon us, which in the accounting world, can only mean one thing…It’s time to prepare for the Financial Year End. Not to fear, we are here to help you prepare for the upcoming, no doubt crazy month. You will be ready for the new Tax year starting on April 5th, 2017 in no time. Since last year not too much has changed at all! We have had the release of the newest Sage 200 version, however, the VAT return procedure is very similar. Also, HMRC has tested the idea of ‘Bringing business tax into the digital age’ and even though there has been no law passed yet, it is only a matter of time until Tax Returns are all made digital. There are a number of steps you may require during the yearly process, but depending on your company, end of March/ beginning of April may not be the time you do everything. For example, do you have your Companies year-end as well as the Tax Year End? A good place to start is with our much-loved Guides. These are adored by both our customers and browsers of our webpage. They have helpful screenshots, handy hints and tips and most importantly an easy to follow step by step structure. 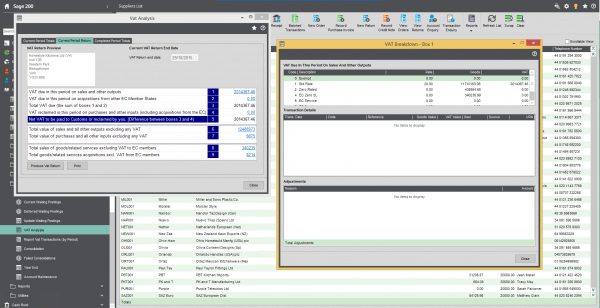 How to perform a Month-end in Sage 200 – Even though your month end routine is something specific to your company and your own routine, here are some of the main bits we’ve brought together when using Sage 200. EC Sales List report – If you sell your items in the EU, I’m sure that you are aware that the reporting of Tax is different on these transactions. You can download our report to see the breakdown of these transactions. How to perform a VAT return in Sage 200 – The Big One. 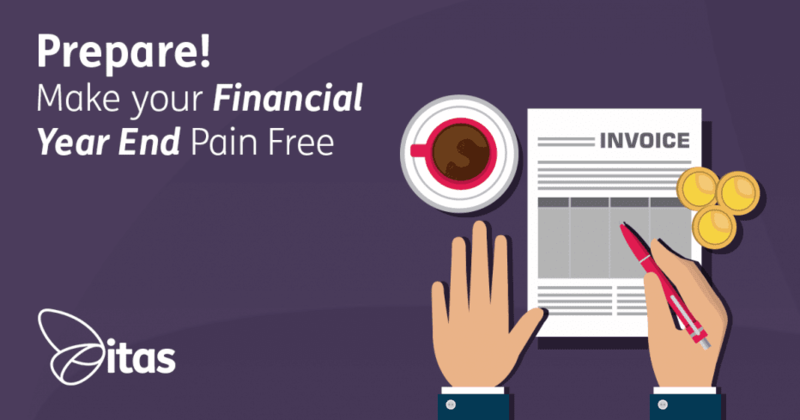 You may do it monthly or quarterly, but you only have one Financial year end! Financial Statement Layouts – Did you design your Balance Sheet, and Profit & Loss Layouts yourself? Making sure all your Nominal codes are reported on is definitely something you should be doing! Bank Reconciliation – You may run this routine on a regular basis, but do you do it the most efficient way? How to perform a Year End in Sage 200 – As this is a routine this is run only once a year, you are forgiven for maybe not knowing it inside out! However, when you do come to do it have a read of a guide written by our support team. They assist users in running this process on an almost daily basis! We offer a large variety of training courses, to fit your individual needs. We offer both onsite & online, in groups or individually. It all depends on how you think you learn best! We can cover a range of topics from the basics of using Sage 200 to performing your VAT return or go into much more detail about how to report and analyse on the transactions posted with Various VAT codes. To find more about our training either drop the team an email at training@itas.org.uk or pick up the phone and give us a call. 1. Can manual adjustments to a VAT Return produced in Sage 200 be made? These can be made by selecting the blue hyperlink on each figure in the relevant box. You can then enter the adjustments section of the window that appears as shown below. 2. How do I know all nominal codes are being included in the correct Report, i.e. Balance Sheet or Profit & Loss? 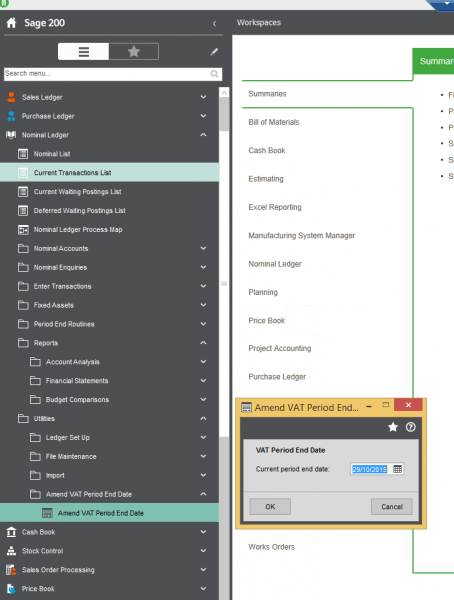 You can do this by ‘Validating’ the Balance Sheet or Profit and Loss Layout (Nominal Ledger > Utilities > Ledger Set Up> Financial Statement Layouts ‘Validate’). Then, the validation results will show any Report Categories not included in the layout or ones that are included more than once. 3. How does the system know which transactions to include in the return? Sage 200 includes all transactions posted with the relevant VAT code (that’s set to be included in a VAT return) that have not previously been included in a return. This is dated up to the ‘Current VAT Period End Date’. 4. Where to amend the current VAT Period End Date? You can amend this by going to, Nominal Ledger > Utilities >Amend VAT Period End Date and enter in the required date. 5. Can we see the details of previous VAT returns? Yes, you can see these by going to Nominal Ledger > Period End Routines > VAT Analysis. Select the ‘Completed Period Totals’ tab. You can then select the relevant return and click on the ‘View Period Totals’ This will show you the figures for all previous returns. You can even select the figures to see the transactions that make up those balances. Please do not struggle as you’re working on your Financial Year End. Make use of the tools you have available. Our support team is always on hand to provide guidance and help when needed. If you have any questions regarding today’s blog or would like to suggest any topics for future blogs, let us know!